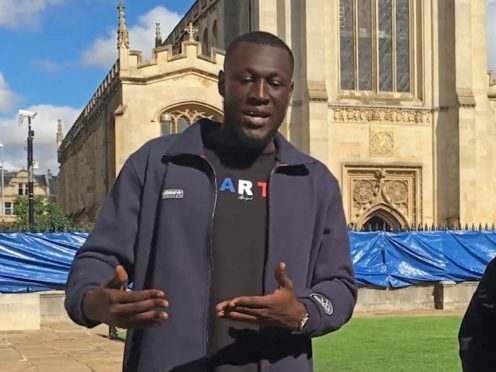 Grime star Stormzy has said it is “ridiculous” that the scholarship he is offering to help black Cambridge University students pay their tuition fees has been branded racist. Addressing the negative responses to the initiative he told BBC Radio 1’s Life Hacks: “After I launched the scholarship and I said it’s a scholarship for young black kids, some people were going as far as to say ‘racist’. "There were times I didn't know what I was doing… I was just a kid trying to figure it out, I just had to trust my truth." “I didn’t feel the need to explain my stance of having a scholarship that’s only for young black students. “But the more backlash that came, I started to understand that it’s a deeper rooted problem of that people don’t actually understand the imbalance. “So If I’m trying to do something that bridges a gap, it’s a bit difficult when people don’t actually see a gap. “It’s not everyone’s fault that they don’t understand that gap. I genuinely have to explain that there is a barrier for young black people. “I always got to reiterate on that and say this isn’t bias, this isn’t discriminatory. It’s none of that. It’s literally trying to bridge the gap to make it an equal playing field. We have not received or turned down a proposal for student support from Stormzy and have been speaking to his team this morning to establish what happened. Life Hacks is on BBC Radio 1 on Sunday from 4pm.